Right, now that we’re done with the definitions, let me explain where we are coming from here. As Christians, we identify ourselves as followers and lovers of Jesus, continually trying (but ever failing) to do His will. We believe that our time on earth is our Penultimate Destination, and that when our time here is done, we will be called to Jesus in a new earth – Heaven. With that in mind, we can consider our travels through this amazing land as our penultimate destinations – all of those destinations before our final and last destination. 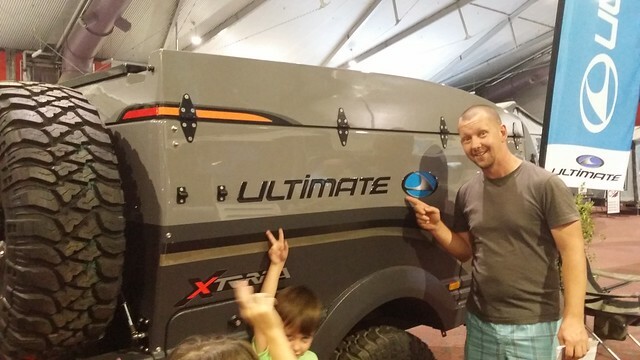 Obviously there’s also a play on words happening here, as our new camper trailer just happens to be an “Ultimate” camper trailer. An Ultimate Xterra. So it fits quite nicely with PenUltimate Destinations… (see what I did there?? ).